The Rolex Bubbleback 3131 is truly a vintage watch, being one of the first fully-functional automatic watches produced in the 1930s and some of the earliest Rolex watches available. 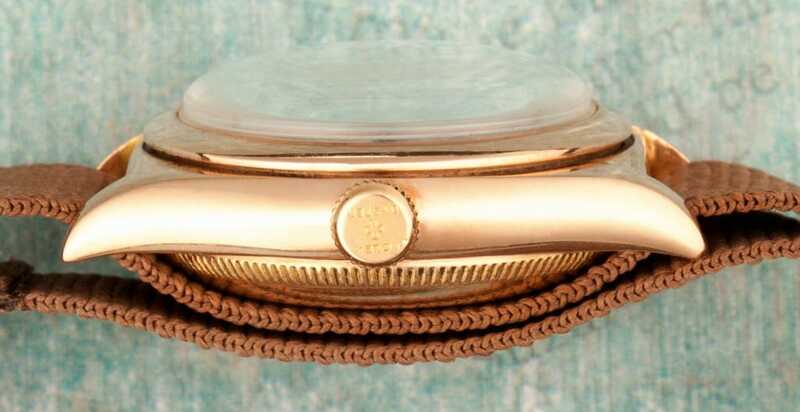 The watch takes its name from the protruding or “bubbleback” case. 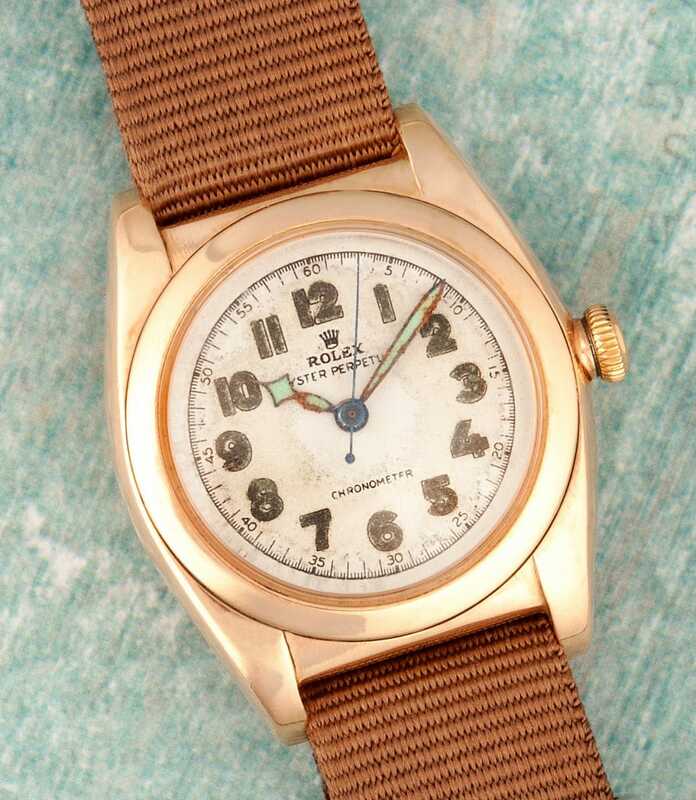 Like all vintage Rolex watches on our site, this one is a completely all original period collectible. 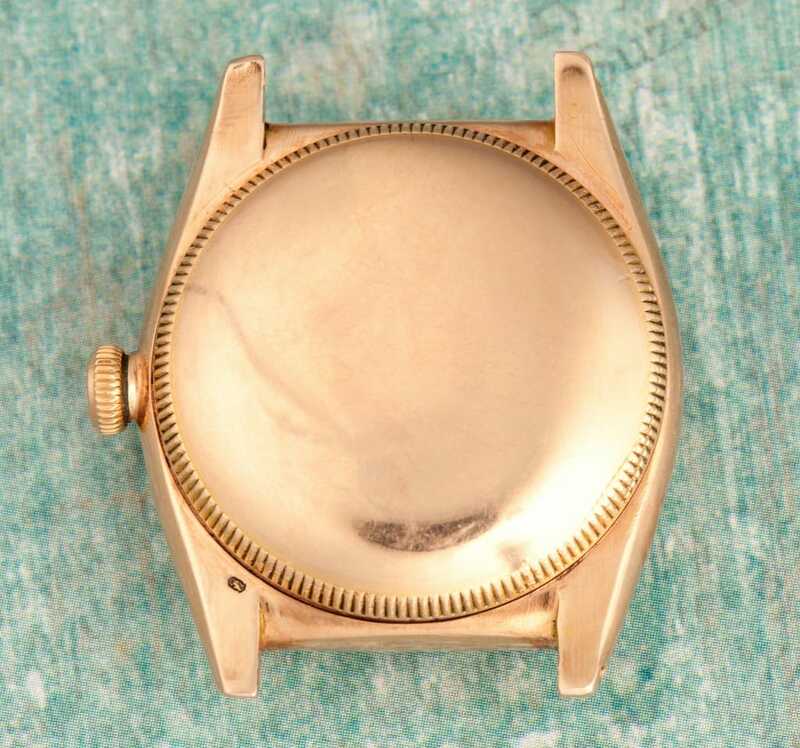 The Bubbleback was made in several types of metals, including steel, half gold, and 9, 14, and 18 karat pink or yellow gold with various sizes and dials also available. The Bubbleback was launched in 1933 and featured the first auto-rotor. 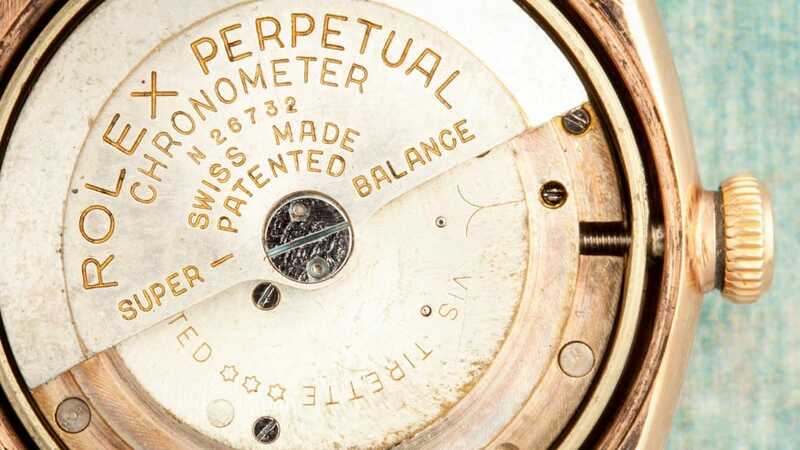 Rolex was not the first to create the automatic movement, but this watch does signify the company’s success in developing a self-winding movement. Rolex created the auto-rotor movement from the Aegler movement in Hunter watches that featured a “perpetual motion” winding mass. Rolex patented its first successful perpetually self-winding wristwatch in 1932 and introduced the Bubbleback one year later. Like most authentic vintage Rolex timepieces a Bubbleback is sure the spark the hearts of vintage watch collectors. Despite the ubiquitous name, Rolex never engraved “Bubbleback” anywhere on the watch or officially recognized the name. However, the thick auto-rotor required a fatter case, and the decision was made to move the case out in the back rather than make the watch larger overall. This led not only to the English designation of “Bubbleback” but the Italian ovettone or “Little Egg,” as well as the more sinister “Little Coffin” name in Hong Kong. Nicknames are often times given to a watch for their unusual appearance, or the colors of something similar. 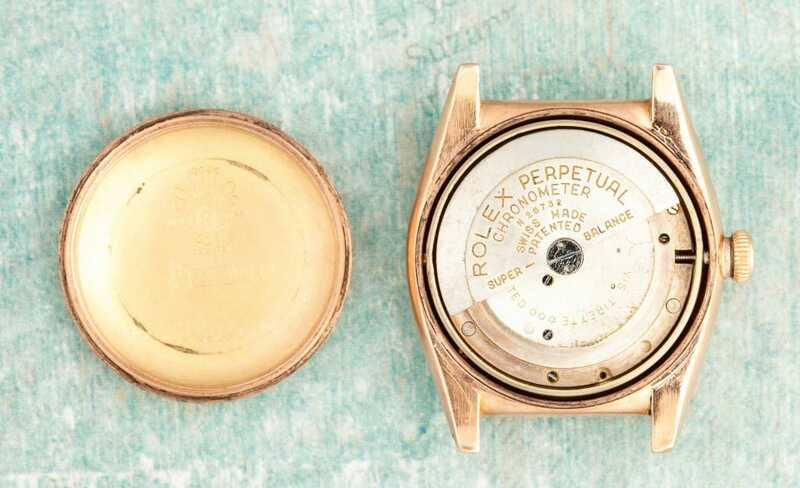 A Vintage Rolex Bubbleback has a large case because of its larger movement size. The first Bubbleback model was 1858, powered by a Reference 520 movement. Early Bubblebacks featured a three-piece case. However, in 1936, Rolex introduced a two-piece case with models 3131 and 3132. These were also some of the first Rolex watches to feature Steelium, a stainless steel material, and Rolesor a steel and gold combination. 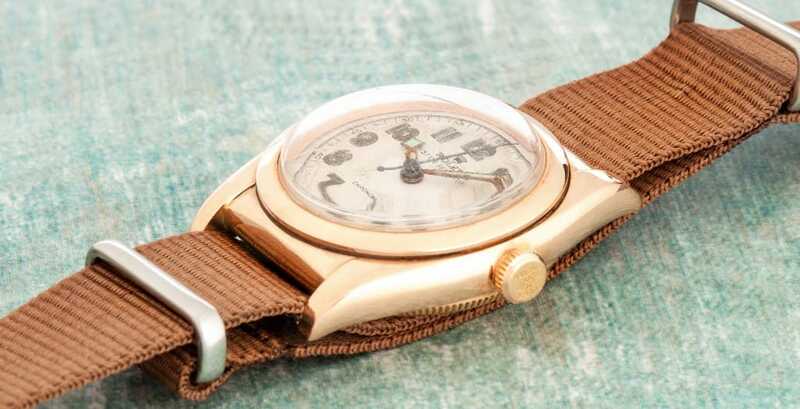 In 1941, a ladies version of the Bubbleback was introduced with a Reference 420 movement. The Bubbleback was marketed in three sizes to appeal to both gender markets. The culmination of the line was the “Big Bubbleback,” which led to the development of the DateJust. A Rolex Vintage Bubbleback is a true vintage watch. Collectors covet the Bubbleback 3131 because it was not only one of the first Bubblebacks but it has a deep history and it is the first with a two-piece rather than a three-piece case. This beautiful watch makes a wonderful addition to any collection, whether the collection is based solely on antique watch types or specific to beautiful, vintage Rolex models. A Bubbleback 3131 is the ideal gift for any vintage watch collector, no matter what his or her preference in models and types.